By being a Wisconsin Farm Bureau® member, you qualify for benefits and services that provide a range of options that respond to the needs of farmers, families and businesses in Wisconsin. 35% discount on daily grain, livestock and feed input marketing advice, as well as current market quotes and updates. Members go to www.agrivisor.com and click on E-Visor to sign up or call 800.676.5799 to learn more. The Country Today will donate $5 to the Ag in the Classroom Program with every purchased by a Farm Bureau member. Write “Farm Bureau member” on your renewal or mention it while calling 800.236.4004. ScriptSave® is a free prescription drug savings card available to all Wisconsin Farm Bureau members. Sign-up by calling 800.700.3957. Mention Group #703 to identify yourself as a Wisconsin Farm Bureau member. This is a discount only, not an insurance policy and does not provide insurance coverage. Life Line Screening offers vascular screenings to all members at a discounted price. Farm Bureau members also get a free osteoporosis risk assessment. Receive up to 25% off Avis base rates* with Avis Worldwide Discount (AWD) number A298849 . In addition, enjoy additional offers** like dollars off, a complimentary upgrade, or a free weekend day. Visit www.avis.com/wifbor call 1.800.331.1212 to make a reservation. Save up to 25% off budget rentals with your Budget Customer Discount (BCD) number Y775749. Plus, get other great offers** like dollars off, a free upgrade, or a free weekend day. If you have member benefit questions, please call 1.800.261.FARM(3276) or visit your local FB office. Members save 20% off published rates at almost 5,000 Choice Hotels worldwide! Save 20% off at participating Comfort Inn, Comfort Suites, Quality Inn, Sleep Inn, Clarion, MainStay Suites, Suburban Extended Stay, Rodeway Inn and Econo Lodge hotels. Mention your Wisconsin Farm Bureau Federation ID #00209870 or go to choicehotels.com and enter your Wisconsin Farm Bureau Federation ID #00209870 to book online. Members save 20% off the best available rate on their overnight hotel accommodations including Wyndham Hotels and Resorts, Days Inn, Ramada Worldwide, Super 8, Wingate By Wyndham, Baymont Inns and Suites, Hawthorn Suites, Microtel Inns and Suites, Howard Johnson, Travelodge and Knights Inn. To make reservations at any of the Wyndham Hotels, call: 877.670.7088 and you can then choose the name of the hotel you want and be sure to mention Farm Bureau ID # 8000004288. WFBF members save nearly 40% off a regular admission ticket during the regular season! Call the Wisconsin Farm Bureau office at 1.800.261.3276 to receive the discount code. Competitive rates on a variety of products and Farm Bureau Member Rewards MasterCard® that pays Farm Bureau membership. Find out more information on banking products or services today, call 1.800.492.3276 or visit farmbureaubank.com. Deduct 100% of their family’s medical expenses through their farm or business, and save an average of $5,000 a year on their medical expenses. Also, receive a 15% discount off the cost of AgriPlan (mention discount code WIFA). Learn more here or or call one of TASC’s friendly AgriPlan specialists at 855.591.0562. Members save $300-$500 per unit on select Case IHequipment. Just enter your member ID (without FB) and zip code, print out your certificate and take to the dealership prior to purchase. Find more info here! Members can save up to $2,500 on eligible Cat® machines and an additional $250 credit on work tool attachments purchased with new Cat machines. Just enter your member ID and ZIP code, and print out your certificate and take it to the dealership prior to purchase. Find specific products eligible for discount here. Members who are agricultural producers and patrons of their local FS cooperative are eligible to receive patronage when patronage is paid. Click here to learn more. Save up to 30% at Grainger and get free shipping. For a free catalog call 608.221.3861. When ordering use the Farm Bureau account #855922019 and a credit card. Members with an existing account who would like to take advantage of the discount can call to have their account coded to receive the discount. Grainger now has a toll free order number for Farm Bureau members only: 877.202.2594. Wisconsin Farm Bureau members are eligible for a complimentary John Deere Rewards upgrade (Platinum 2 status) – which unlocks the best loyalty rewards including valuable equipment discounts. Register today, and explore all that Rewards has to offer. Must be a valid member of Farm Bureau for 30 days (effective 9/11/18). A valid member email address is required for eligibility. Save up to 80% on Office Depot Preferred Products along with reduced prices on ink, paper, office supplies, toner, stamps/daters, pens, pads, furniture and much more. Free next day delivery with free shipping on orders over $50 and terrific copy and print pricing. Use this link. Farm Bureau pays a $500 reward to people providing information leading to the arrest and conviction of individuals for arson, theft or criminal damage to a member’s property that is posted with a Farm Bureau reward sign or sticker. Contact your county Farm Bureau office to request a sign or auto sticker and a complete list of requirements. Members receive $1,500 in accidental death insurance for themselves and their spouse, and $500 for minor children. The policy increases in value $200 for each consecutive year of membership up to $3,500. The policy covers any accident, except those on a public road or highway occurring or arising out of occupancy or use of a vehicle required to be licensed under state laws. With more than 46,000 members, the Wisconsin Farm Bureau Federation is Wisconsin’s largest general farm organization. 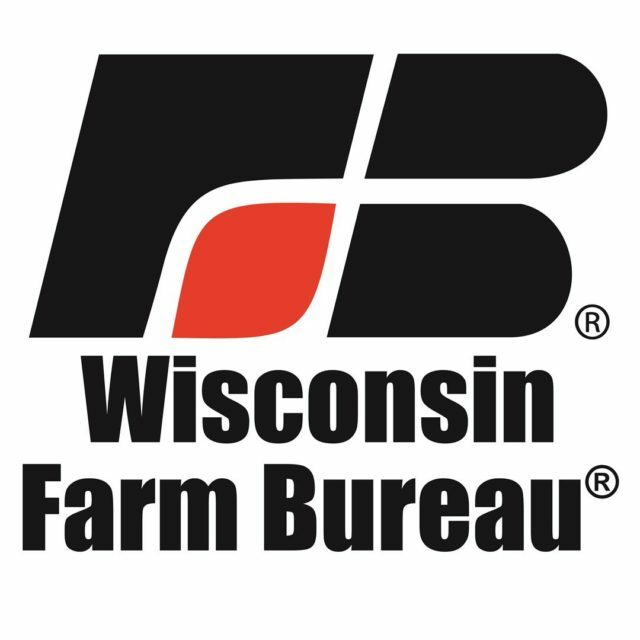 The Wisconsin Farm Bureau Federation is made up of 61 county Farm Bureaus. Farm Bureau members serve on boards and committees working on legislation, regulations, and issues that affect agriculture and rural areas. These hard-working members are supported by a staff of professionals working to assist them in their action-oriented activities. Farm Bureau leaders recognized the need to provide automobile coverage to members who were often unable to find affordable insurance as farmers were considered very high risk. So, in 1934 the Farm Bureau Mutual Insurance Company of Wisconsin was formed. That company would evolve into what we now know as the Rural Mutual Insurance Company. Farm Bureau Mission: Lead the farm and rural community through legislative representation, education, public relations, leadership development and providing services and benefits to members.